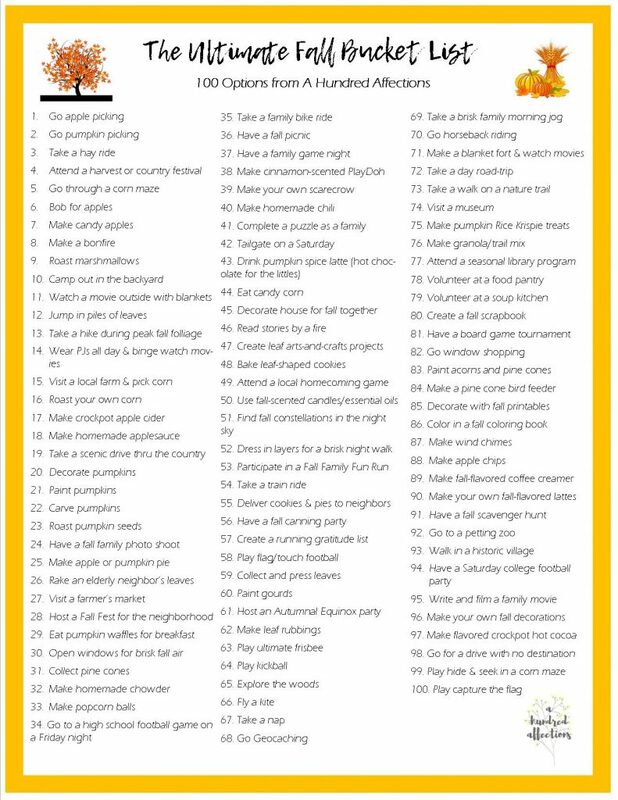 Here’s your copy of The Ultimate Fall Bucket List: 100 Options from A Hundred Affections! Have a blast! I’d love to hear what you try and how it went!